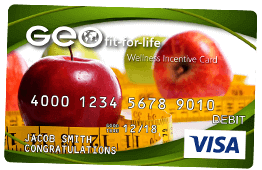 Reward Cards have quickly become the most popular incentive for marketing, rebates, customer loyalty and employee incentive programs. As a premier provider of branded Visa® and Mastercard® Reward Cards, OmniCard allows you tap into these markets and increase your product & service offerings. Whether you need a basic reward card for your clients one-time holiday gifting opportunity, a Branded Card for an employee wellness client, or a fully designed & personalized customer reward card for a national marketing campaign, OmniCard has your solution. For more information on our Corporate Authorized Reseller Partnerships, please click the Application Button to provide us with detailed information on how you envision working with OmniCard.